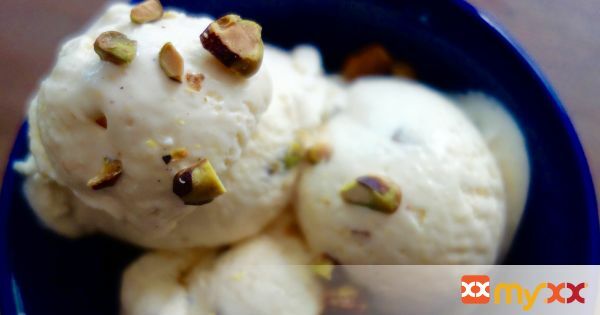 This is such an easy and satisfying ice cream to make. The sweetened condensed milk adds the perfect amount of sweet and silkiness. The cardamom adds a delightful twist making this unlike any ice cream you've had before. If you have trouble finding good ripe mangos, you can also use frozen mangos. You'll have to cook it down, puree and possibly add more honey. I use an ice cream maker (they are inexpensive and worth the purchase) but if you don't have one you can also place the mixture in a freezer safe container and allow to solidify. 1. Combine all ingredients and place in ice cream maker. Churn for about 20-30 minutes, then place in the freezer for 1-2 hours.